If you could visit only one beach in the Whitsundays, it most likely would be Whitehaven Beach. One of the most photographed beaches in Australia, 7 km (4.35 mi) of soft white-silica sand on Whitsunday Island meet ocean water featuring every shade of blue. Head for Hill Inlet on the northern end to watch the tide mix sand and sea into large blue-and-white swirls. Get an overhead perspective from Tongue Point. You can join boat tours to the beach, fly above it on a seaplane or helicopter, or travel here on your own and camp for the night on the beach's southern end. Using our custom trip planner, Whitsunday Island attractions like Whitehaven Beach can form part of a personalized travel itinerary. Great Barrier Reef and Whitehaven beach, Australia:- Different amphibian species incorporate leatherback turtles and comedian angle, the Great Barrier Reef needs no presentation. The world's biggest coral reef framework made out of more than 2,900 individual reefs and 900 islands extending for more than 2,300 kilometers over a region of roughly 344,400 square kilometers (133,000 sq mi), the Great Barrier Reef can be seen from space and is the world's greatest single structure made by living creatures. Fantastic spot, sand is hot going to toilets so take some footwear unlike my girlfriend who I told to take her sandals but didn't, so I had to give her my sliders and my feet were burning, even though I was running which was really funny and great source of delight to my girlfriend. Just wow! Went by boat trip (with lots of others and a BBQ lunch) which was good but we also splashed out and went by helicopter. This is the way to do it (if you can afford it - we had saved up) as they take you to a deserted part and is therefore so much better. Genuinely, one of my favourite places in the world. Take a picnic and a few beers and enjoy the view. Have a wander down the beach and marvel at the white sands. Take a dip in the sea. You simply can't not fall in love with this incredible place. Every day, we help thousands of travelers plan great vacations. Here are some tips on how to use your Listing Page to attract more travelers to your business - Whitehaven Beach. Promote your permanent link - https://www.inspirock.com/australia/whitsunday-island/whitehaven-beach-a479941779 - on your website, your blog, and social media. When a traveler builds a plan from this page, the itinerary automatically includes Whitehaven Beach. This is a great way for travelers looking for a great vacation in your city or country to also experience Whitehaven Beach. Promoting your link also lets your audience know that you are featured on a rapidly growing travel site. 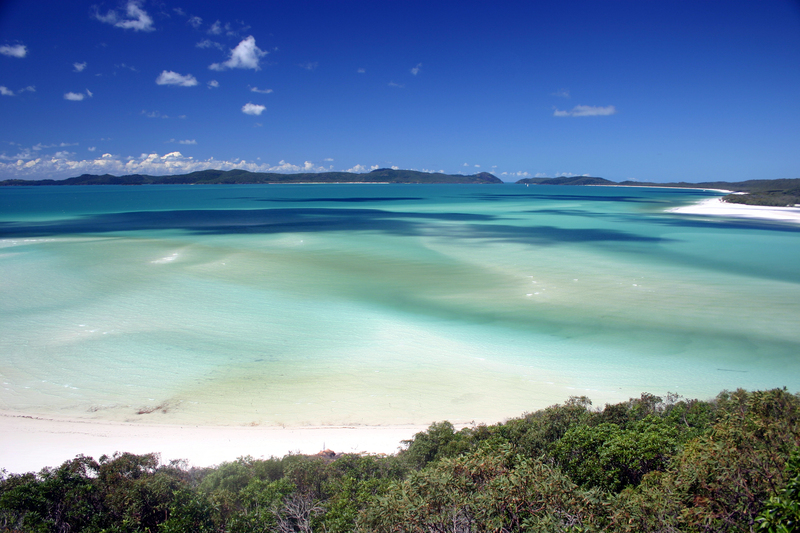 In addition, the more this page is used, the more we will promote Whitehaven Beach to other Inspirock users. For best results, use the customized Trip Planning Widget for Whitehaven Beach on your website. It has all the advantages mentioned above, plus users to your site can conveniently access it directly on your site. Visitors to your site will appreciate you offering them help with planning their vacation. Setting this up takes just a few minutes - Click here for instructions.